I bought this in a moment of weakness yesterday (really, when your school is across the street from a mall, this sort of thing can only be expected). 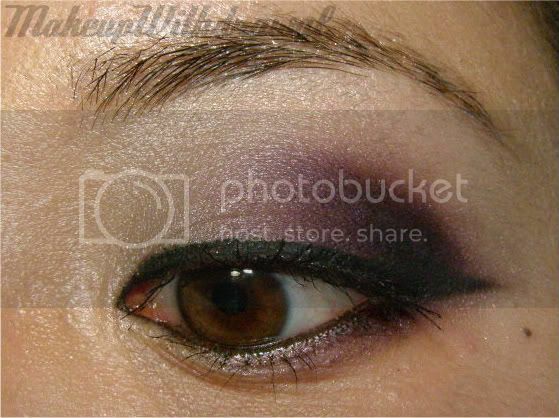 The weather is really horrid, so no swatches yet- but I did do a quick EOTD with it. This look mostly shows off the matte violet, but I really think that the pewtery shade is the star of this duo. As soon as there's some sunlight to take glorious swatch pictures, I'll write a full review about this duo! Have you seen Melusine at your NARS counter yet? All products were purchased by me, for my own use.